Sometimes we mistakenly delete those files which are important to us, and we all know that deleted data can be recovered with using any recovery tool, but finding that perfect tool is not easy. Have you ever been in a confusion that which software should you use to recover your deleted data? If yes, then EaseUS data Recovery Software is the solution to all your confusions.EaseUs free data recovery software recovers all deleted files from your PC, laptop and other removable disks such as Pendrive, memory cards etc. EaseUS data recovery Software is one of the best data recovery tool available in the market which can be used in both Windows and Mac operating system. You can quickly recover deleted, formatted, or lost data from your PC, laptop, and removable devices. This tool available in Free and Premium versions, you can use its basic feature for free and can go with the premium subscription if you want to enjoy some creative and additional features. Lost Partition Recovery: Imagine your external HDD had lost its partition in which data was stored then what will you do? Even in this worse condition, your data can be recovered using EaseUS tool. OS Crash Recovery: This tool lets you recover the data even if your operating system is crashed or not working properly. For this situation, they have a downloadable WinPE bootable media using which you can start your computer and recover lost data. Recovery of Data from a Corrupt Disk: In the situation of the corrupt disk and you cannot access your files, you can still find and recover those files which are stored in your corrupt disk. 2 Options of Scan: EaseUs allows you to quickly scan your files for the faster result and a deep scan which takes the longer time to scan deeply your files so your every file can recover. Preview of Files Before Restore: You can preview files before restoring them back, this feature let you know which file is necessary to restore and which file can be avoided while recovery. Scans over 1000 Types of Files: With over 1000 types of files you can restore any kind of files such as documents, audio files, images, videos, email, and other files. No doubt Easeus is one of the best hard drive recovery software which comes with some amazing and unique features, but still like other software and tool it also has some pros and cons. Preview the files before recovery feature. 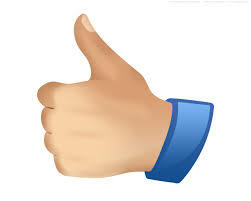 Offers a free account which can restore up to 2 GB of data by just sharing on Facebook. The deep scan is a great feature but you can only use once quick scan is done. You cannot directly jump to the deep scan directly. 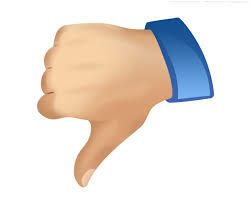 Doesn’t support mobile data recovery. 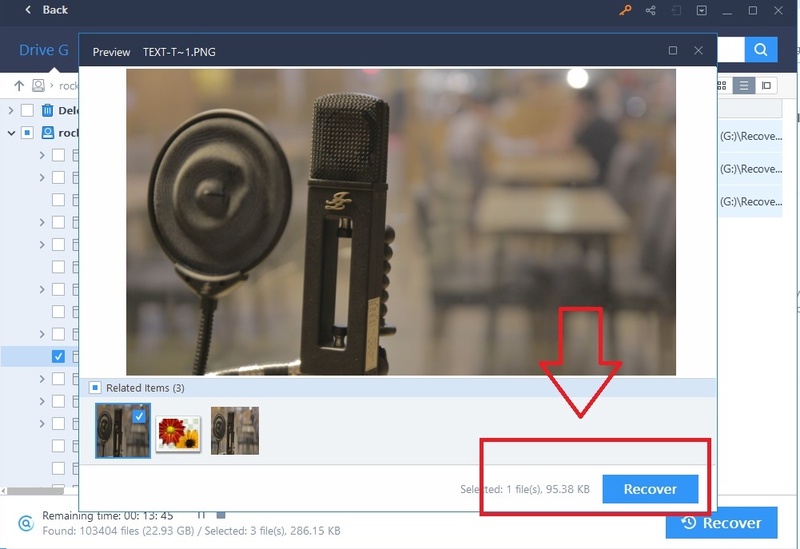 There are only 3 steps by following you can recover your lost data easily using this recovery tool.3 Steps include selecting the location of the files, a quick scan or deep scan which and the recovering the scanned files. 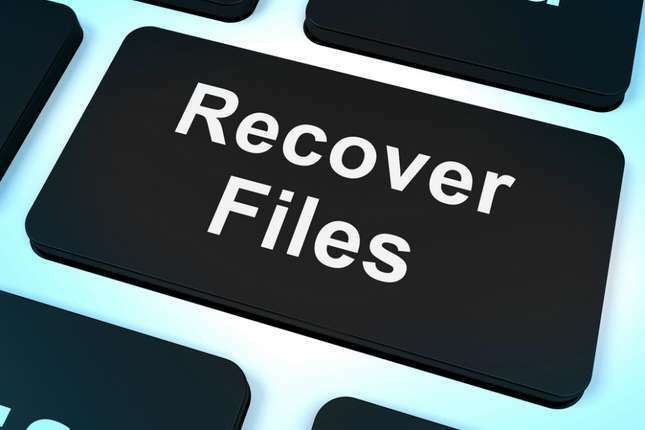 To begin the recovery of the lost files, first, download and install the EaseUS Data Recovery Tool from here. 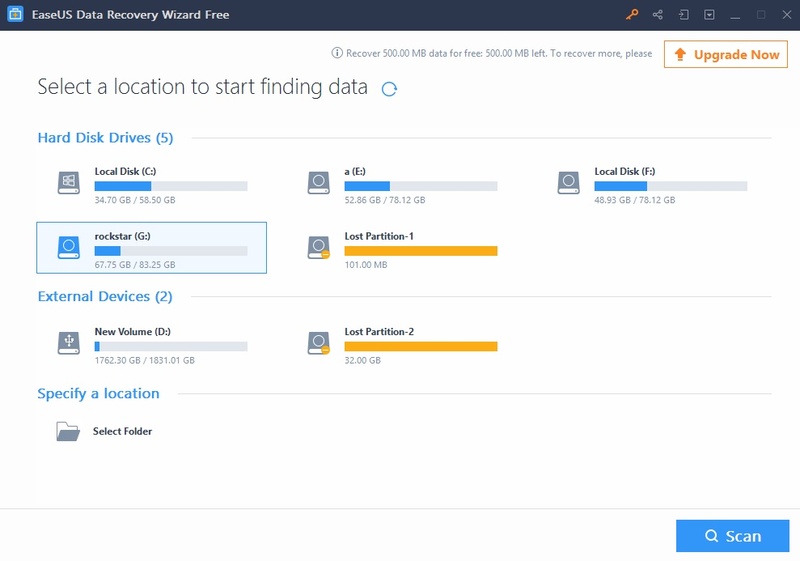 The first step is to select the location of the files for example if you want to recover deleted files from your memory card or Pendrive then select the location by opening the EaseUS Data Recovery Wizard. Now in the second step, you have to scan the location where you deleted file were stored, this tool has two types of scan Quick and deep. You can start with the quick scan which can scan all the deleted files in few seconds, but if you couldn’t find the file for which you were looking for then start the deep scan which scans thoroughly every type of file. So in the second step, you must have found your files to which you want to recover, now in the third and last step you have to select the files and click on the “Recover” option placed in the bottom. You can preview your files before restoring them to the original. 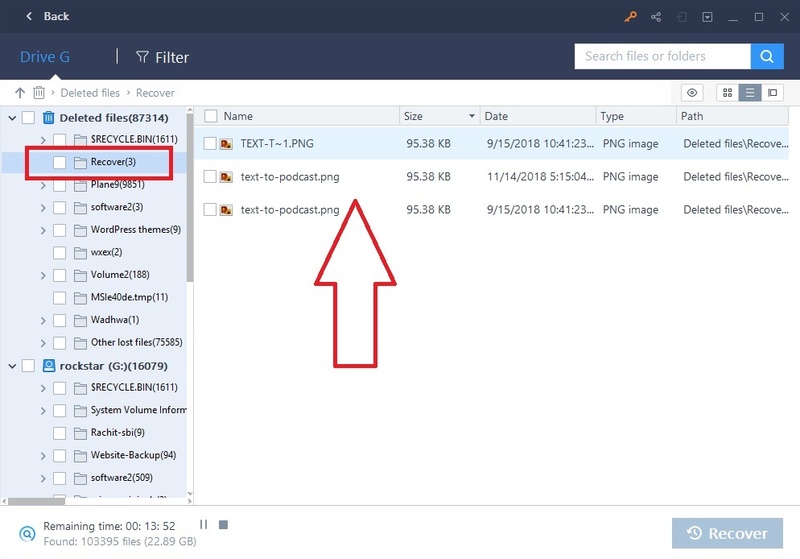 This preview feature will help you to identify which file is necessary to recover. You just have to keep in mind that while recovering the files, select a different place to save recovered files.